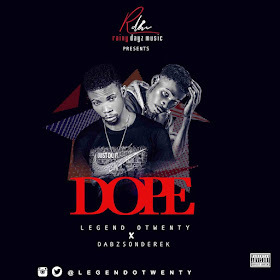 The in-house producer and the frontier of Rainy Dayz Music (RDM), LEGEND OTWENTY is one out of ten musical ancestor in the industry. 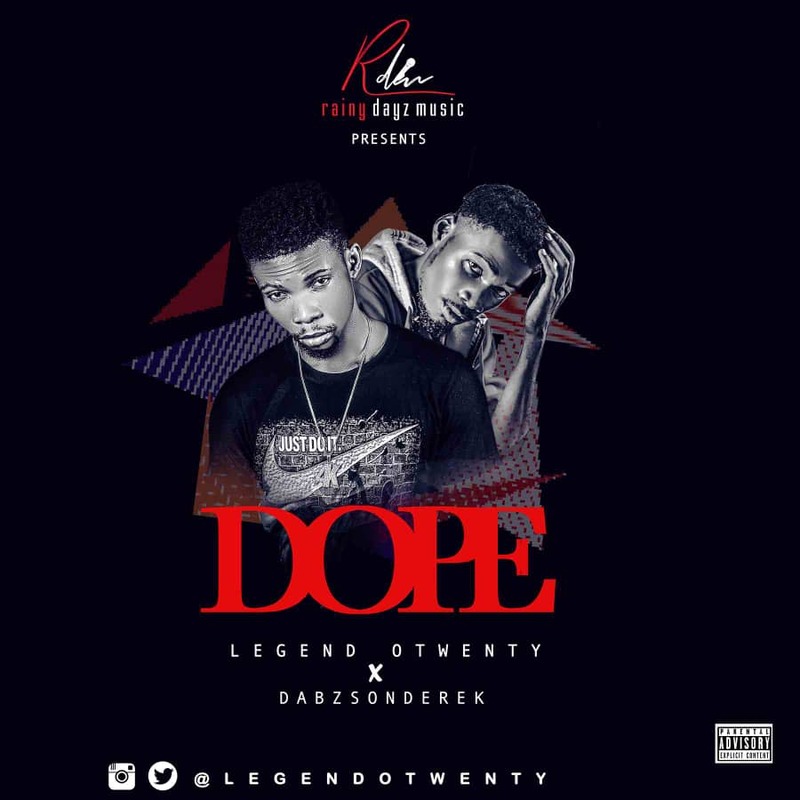 A record producer with much integrity who recently sequenced HiT jam like, LINK UP by Surmiuntz ft maxi, JOLLY by BRTshadow and more decided to wrap up the year 2018 with thunderous sound titled DOPE. A tree can not form a forest, and to make DOPE sound Doper, DABZSODEREK jumped on it with mad vibes. You can't wait to feel this Gbedu, just download and enjoy.